Welcome to our Careers Page! Young Owosso is one of the region's best dealerships, serving the Owosso communities in Michigan for many years! If you’re looking for an opportunity to be appreciated and involved in your career, your search is complete. We have a great history of providing excellent career opportunities for sharp, energetic people. We offer excellent benefit packages, and a great working environment. If you want to set yourself apart from the ordinary routine of the average job, while earning an above average salary, simply complete the form to apply. Thanks for considering us in your employment endeavors! JT started in 1992 as a Parts Stock person. One year later he was promoted to a Parts Counter Person. 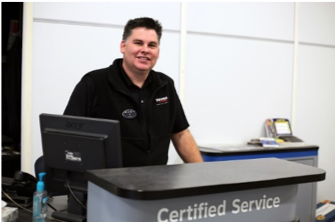 Then 2 years later, JT applied for an open Service Advisor position and was given the opportunity to work in this position for 16 years. JT went on to become the Assistant Service manager for a year before JT was promoted to Service Manager. Amanda started as an Administrative Assistant doing a little bit for each department- whatever needed to be done – during high school and through college. Other positions included operator, service cashier, delivery coordinator, office clerk. Amanda then became a Business Development Representative in the Business Development Center. Shortly after, Amanda became the Business Development Manager/ Internet Sales Manager. 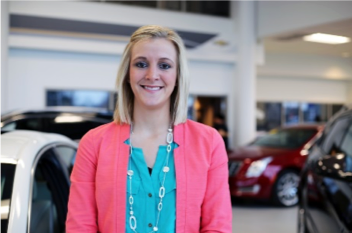 She has now been recently promoted to New Car Sales Manager. Jared started with Young’s in August 2016 in Used Car Sales. 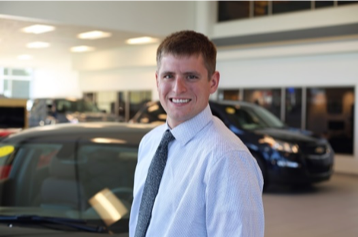 After only 8 months in sales, Jared transitioned into the Finance Manager position in Used Cars. One year later, he was promoted to our Buick GMC Sales Manager.